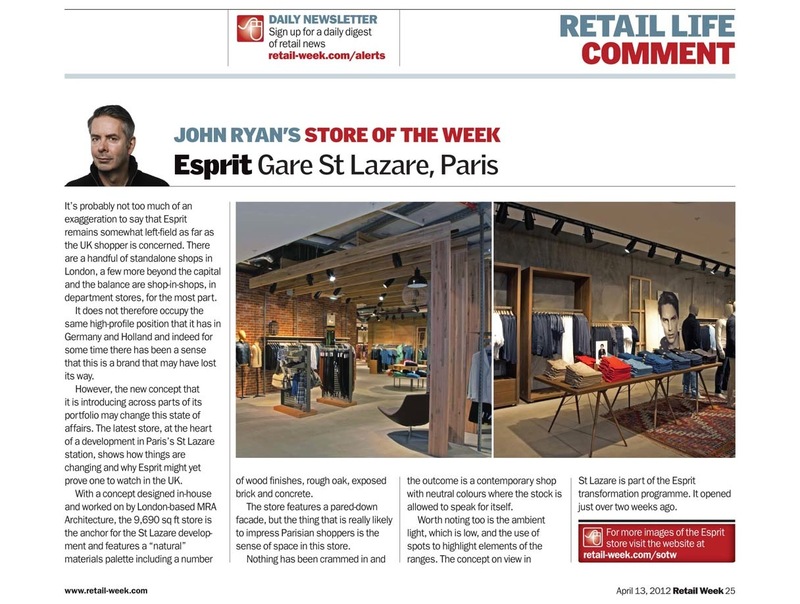 MRA's Esprit St Lazare project has been selected for 'Store Of The Week' by Retail Week magazine. 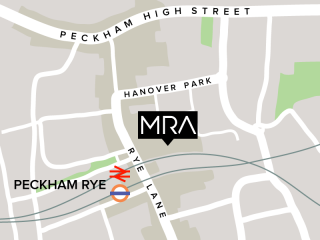 “With a concept designed in-house and worked on by London-based MRA Architecture, the 9,690 sq ft store is the anchor for the St Lazare development and features a ‘natural’ materials palette including a number of wood finishes, rough oak, exposed brick and concrete. The store features a pared-down facade, but the thing that is really likely to impress Parisian shoppers is the sense of space in this store. Nothing has been crammed in and the outcome is a contemporary shop with neutral colours where the stock is allowed to speak for itself. Worth noting too is the ambient light, which is low, and the use of spots to highlight elements of the ranges."